After a week hiatus while we got ready for World XC, the famed Week That Was is back. 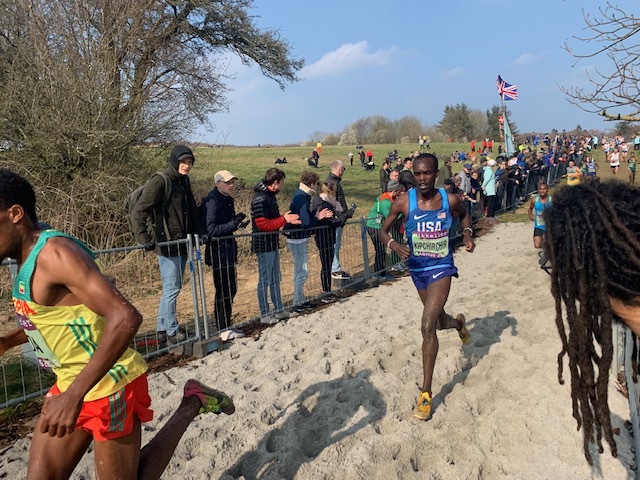 If you missed our coverage of the 2019 World XC Champs, catch up now: 2019 World XC Championships. Past editions of the Week That Was can be found here. Questions, comments, or a tip? Please call us at 844-LETSRUN (538-7786), email us, or post on our forum. While we broke down the World XC action pretty deeply on Saturday, since then we’ve been taking a deep look through the results to see if anything caught our eye. Here are seven interesting tidbits that we found from the IAAF/Mikkeller World Cross Country Championships. 1. Watch out world – Is Burundi the next East African power? One of the bigger storylines of the 2019 championships was the fact that Uganda, Kenya’s neighbor to the west, won its first-ever senior team and individual golds in the men’s championships. Normally the gold medals are reserved for Ethiopia/Kenya. Admittedly at Worlds, everyone is super focused on the top three and first place, and as a result we doubt many people noticed who the fifth-place men’s team was: Burundi, another East African country to the west of Tanzania and south of Rwanda (it’s 60 miles south of Uganda with Rwanda in the middle). That’s the highest Burundi has ever finished at a World XC and an incredibly impressive feat for a country with a population of just 10.9 million as of 2017. For comparison’s sake, the population of East African powers Uganda (40.9 million), Kenya (49.7 million), and Ethiopia (105 million) is MUCH higher. Even more impressive than Burundi’s fifth-place showing is that through three finishers, Burundi was just six points behind Ethiopia, which earned silver. Here is some more info on the Burundi team, which was only four people deep. Thierry Ndikumwenayo, 9th place – Turned 22 last week. PRs of 7:41, 13:25, 28:18 (road), and 43:34 for 15k. Rodrigue Kwizéra, 11th place – Just 19 years old. The only track result we see for him is a 14:00 10th-place showing at the African champs 5000 last year (race was won in 13:48). He also was 39th at World XC in 2017 as a 17-year-old. Onesphoré Nzikwinkunda, 14th place – 21 years young. PBs of 8:04, 13:27, 28:09. 61:48 for the half and 2:12:11 for the marathon. Also 14th at 2017 World XC. Olivier Irabaruta, 57th place – 28 years old. PBs of 3:48, 7:50, 13:17, 27:55, 62:54, 2:09:48 (NR). Obviously, the team was hurt big-time by their fourth runner Irabaruta only finishing 57th. That being said, we think the guy deserves an award. 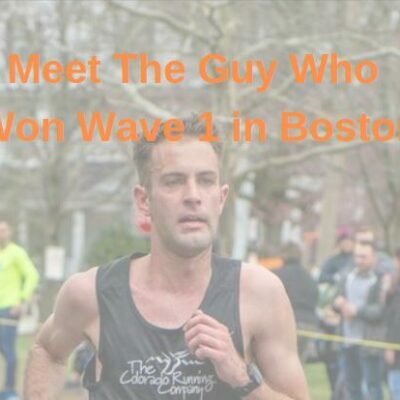 They needed a fourth runner to record a team score so he ran the race one week after running 2:10:33 in the marathon in China (4th place in Wuxi). That’s what we call patriotism. And it’s not clear that would have done a whole lot better even if he hadn’t run the marathon as he’s run World XC two other times and was 54th in 2017 and 63rd in 2015. Clearly Burundi has some talented runners. Former Arkansas star Dom Scott, who now runs for adidas and is part of Emma Coburn/Joe Bosshard‘s group in Colorado, ran for South Africa in Aarhus and she went out boldly. 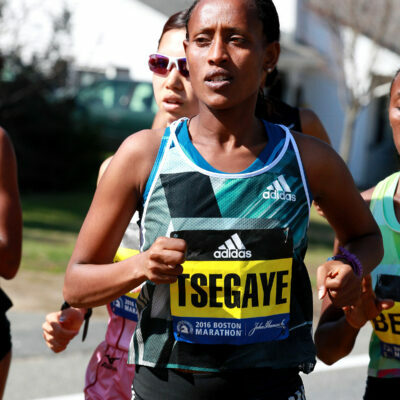 At the end of the first lap, she was to first non-East-African-born runner in 19th. At the end of the second lap, she was still going strong in 23rd. At the end of lap three, she was still in the top 30 (29th). By the end of lap four, she was still the South African #1 but down to 36th. Unfortunately, there was no finish for Scott as she started staggering big-time on lap five up “the roof,” fell down, and was pulled from the course. South Africa didn’t get a team score as a result. Gabriela Andersen-Schiess may be famous for staggering home 37th in the first Olympic marathon, but race officials in the year 2019 are more worried about runners doing long-term damage to themselves. Even the hard-core Japanese recently passed a new rule giving officials the right to pull athletes in distress from their ekidens. Tanzania — another East African country — also beat the US men at World Cross, taking 10th with 194 points (the US was 11th with 198). Now losing to Tanzania isn’t an absolute shock as they do have some history of success at World XC. John Yuda won senior men’s silver in 2002, and their junior men have twice won team medals (Andrew Sambu also won junior gold in 1991). But Tanzania beating the US was interesting to us for two reasons. 1) Based on PRs, it should have never happened. 2) Additionally, the Tanzania men were a bit like the US women in the sense that some of their more accomplished runners on paper ran the worst. In fact, the two most accomplished men on their squad in terms of PRs were the two men that didn’t score for them. 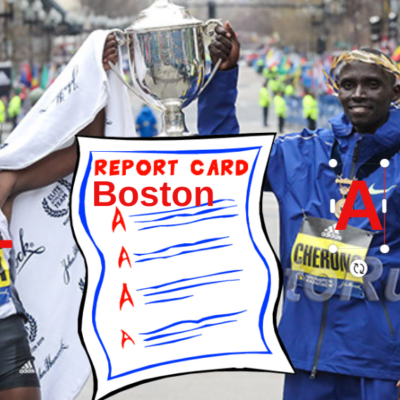 Gabriel Geay, who ran 60:26 for 4th at the Houston Half earlier this year and last year won the BAA 10K and Crazy 8s 8K (2nd at Bolder Boulder) had a horrible day as he was just 88th while 13:13 man Emmanuel Ginikiwas even worse – 109th. 4. What has happened to the Kenyan men’s team dominance? From 1986 to 2011, Kenya won 24 of 26 senior men’s team World Cross Country titles. 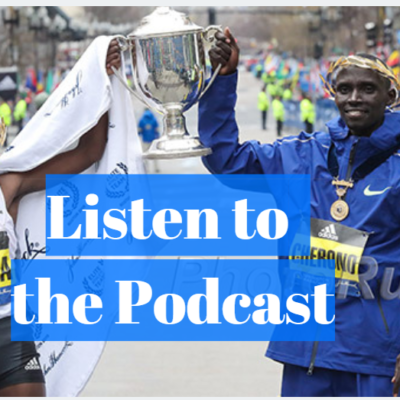 From 1986 to 2003, they won the senior men’s team title 18 times in a row, and that streak was only broken when Ethiopia fielded a near dream team of Kenenisa Bekele, Gebre Gebremariam (eventual NYC marathon champ and 2009 World XC champ) and Sileshi Sihine (five global track silvers) and went 1-2-3 in 2004. Led by yet another Bekele win, Ethiopia won again in 2005 but then Kenya got back to its winning ways, winning six straight from 2006 to 2011. But Kenya hasn’t won since. Kenya’s winless streak does coincide with the IAAF making World XC biennial starting after the 2011 champs, so while it’s been eight years since they last won a senior men’s team title, they have only lost four straight competitions. If you have a theory as to why the Kenyan men no longer routinely win, please let us hear it. 5. Did you know Eliud Kipchoge used to do World XC? Did you know he was the ultimate jinx? In looking up the stats for point #4, we were reminded that the world’s greatest marathoner, Eliud Kipchoge, used to run World XC as he was the Kenyan #1 when Kenya’s 18-year win streak was snapped. Alright, we know what you are thinking: how did he do in each of the years he ran World XC? Well he ran it four straight years from 2002-2005. Here are his results. 2002: 5th in junior race, finished 21 seconds behind winner Gebre Gebremariam and 11 seconds behind bronze medallist Boniface Kiprop. 2003: Won the junior title by two seconds over Boniface Kiprop. 2004: In his first senior World XC race, Kipchoge was Kenya’s #1 man (far from a shocker — remember ,Kipchoge won Worlds in the 5000 in 2003) but he failed to medal as Ethiopia went 1-2-3 (Bekele, Gebremariam, and Sihine). 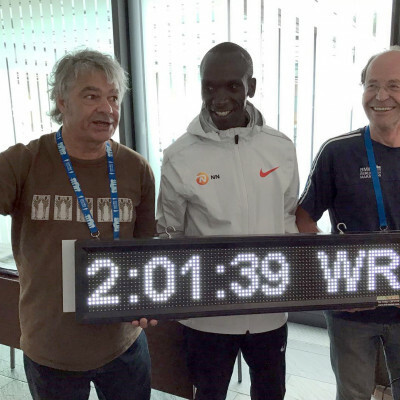 And Kipchoge wasn’t close to medalling. 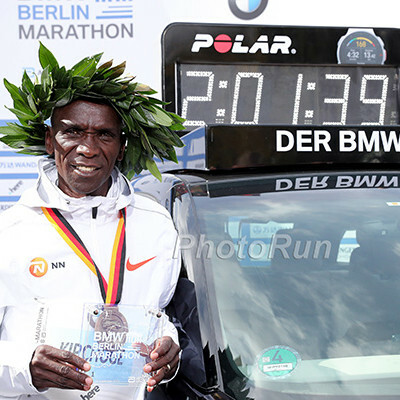 The third placer Sihine was 23 seconds ahead and the winner Bekele destroyed Kipchoge by 42 seconds. 2005: Kipchoge was once again Kenya’s #1 man but once again he failed to medal and Kenya failed to win team gold. In 2005, Kipchoge finished 5th, three seconds out of bronze and 31 seconds away from gold. So there you have it. The stats reveal that Kenya senior men’s team won World Cross Country every single year from 1986 through 2011 except for the two times that Eliud Kipchoge ran for them. The IAAF initially got the junior girls’ race winner wrong as Beatrice Chebet of Kenya was listed as the bronze medallist before a correction was made and she was elevated to first. In the junior boys’ race, history will forever list Milkesa Mengesha of Ethiopia as the winner. 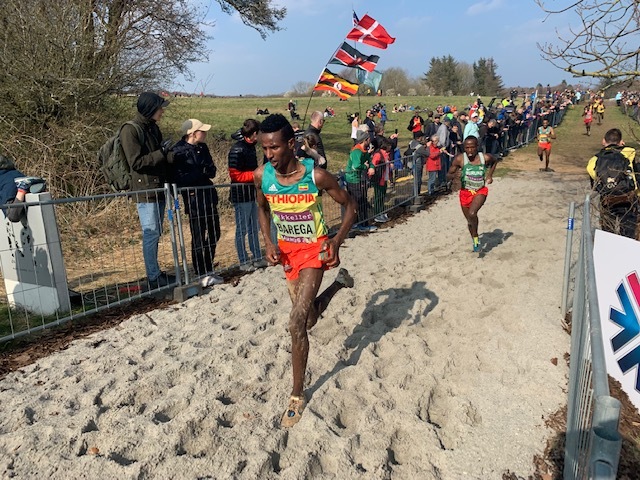 However, we know the best junior at the 2019 World Cross Country Championships was Uganda’s Jacob Kiplimo, who took the senior men’s silver. Kiplimo, the junior champion two years ago, is still officially 18 and was eligible for the juniors once again this year. It’s interesting to point out that Mengesha and Kiplimo averaged almost exactly the same pace for their respective races — Kiplimo averaged 4:59/mile pace to Menkesho’s 4:58 — even though Kiplimo’s race was 32.5% farther. If Kiplimo ran even paced, he would have hit the junior men’s finish line five seconds behind Mengesha but would have been able to maintain that pace for another 1.56 miles (2,512 meters). At Worlds in Denmark, Japan medalled yet again in the U20 race. It was the fifth time in the last 10 editions that the Japanese junior girls have medalled. Yet, the Japanese senior women were only 12th and they have only medalled once at World XC in the last 10 competitions. What are we trying to point out? Yet again we have more proof that big-time success as a junior doesn’t necessarily correlate to success as a senior. Here is a chart comparing the Japanese junior women’s team place versus senior women at Worlds over the last 10 competitions. Now admittedly the chart may not show everything as this year there was a good reason why the Japanese senior women weren’t in the top 10. Brett Larner reported that six of the top eight finishers at the Japanese nationals also had already qualified for next month’s Asian track champs and only two of the women wanted to do both events. As a result, Japan only ran four runners at Worlds, running the 1st, 6th, 7th, and 8th placers from its national champs in Nozomi Tanaka, Yukina Ueda, Rika Kaseda, and Yui Yabuta (Tanaka and Yabuta are also doing the Asian Champs). They finished in 39th, 47th, 46th, and 95th place respectively. Had Japan run its full team from the Trials, they likely could have finished much higher as if their fourth runner had just been 53rd, they would have catapulted all the way up to 7th from 12th. $140,000 – amount of individual prize money offered at the 2019 IAAF World Cross Country Championships ($70k per gender). The same amount is also split between the top six teams. Individually, the top six earn $30k, $15k, $10k, $7k, $5k, and $3k while the top six teams split $20k, $16k, $12k, $10k, $8k and $4k. $192,000 – amount of individual prize money awarded to the top eight finishers at last week’s Chongqing Marathon in China. $83k went to the men and $105k went to the women (men’s prize money was less as the men’s winning time was over 2:09:30) and there also was some Chinese-only prize money. Our point is that the amount of prize money in our sport is tiny. American baseball player Manny Machado, who recently signed a 10-year, $300 million dollar deal with the San Diego Padres, makes $185,185.19 per game and he plays 162 of them a year. Last week, there was a messageboard thread about the 1981 World Cross Country meet and we featured a video of the come-from-behind victory by American Craig Virgin in the QOD spot on the homepage on Monday. All of that caught Virgin’s attention and he posted the following on the messageboard about the importance World XC used to have for American runners. Let’s talk and I’ll give you something exclusive to run on LRC that might be a perfect sidebar story for your event coverage. I would love to help enlighten some of your readership about what really happened in Paris 1980 or Madrid 1981 or really any of my teams since so many of your online readers are much too young to have witnessed it firsthand. I qualified for 10 US World X-C Teams and was invited for 2 other since I was the top American finisher in the NCAA X-C Champs in both 1975 and 1976… and that NCAA honor got an auto selection back then. I think many of your readers would be shocked to know that “back in the day” the American men’s team got Silver 5X and Bronze 2X during our time period. We kept trying to win the damn thing…. but came just short several times. If that happened even once today… then we would be popping the champagne corks, for sure! Despite coming “close but no cigar” for the men’s World Champs team title so many times… it was really not bad performances for us, considering that cross country for Americans is a Sept-Nov sport… and the World Champs was way outside our normal season with the Trials in Feb and the World Champs in March. Even more notable, I was able to recruit some of our best male and female American distance runners to prioritize this team and event every year. It was a major sacrifice for everyone because we had to give up 3 payday race weekends to chase their WC dreams. But, we did! We all not only competed in the Trials but no one ever thought about qualifying and then not actually going to the World Champs back then. Everybody was hugely disappointed if they did not make the team! Nobody would have imagined skipping the World Champs after qualifying for the team…. nobody! I appreciate you guys whipping up some excitement for the World X-C Champs. Wish I could be there to see it. This wonderful event needs some big help nowadays to stay relevant and keep the respect it deserves….but I can see some palpable growth in enthusiasm this year and the folks in Denmark are to be commended for their efforts to rejuvenate it…. as well as LRC’s online media spotlight this week. Thank you so much for your editorial commitment and support. My best wishes to Team USA this weekend! While we didn’t have time to reach out to Craig last week, we’ll definitely do it within the year as next year is the 40th anniversary of his first World Cross title. More: MB: WTF: Did this really happen? In 1981, the entire Ethiopian xc team kicked a lap too early at Worlds? Virgin won title Virgin’s post comes on page 3. 13:56.5 – 5000-meter PR for Milkesa Mengesha, the junior men’s race winner at World XC. 13:17.06 – 5000-meter PR for Jakob Ingebigtsen, who finished 12th in the junior men’s race at World XC. Now, that stat is totally misleading. It should be pointed out that Mengesha ran that PB at 7,972 feet of altitude (2,430 meters) in Assela, Ethiopia. The NCAA conversion would convert Mengesha’s 13:56.5 all the way down to 13:09.30. Stat of the Week II / A Changing Of The Guard? 36.07 – number of seconds that 27-year-old American Emily Sisson knocked off her 10,000 pb last week at Stanford, as she ran 30:49.57. 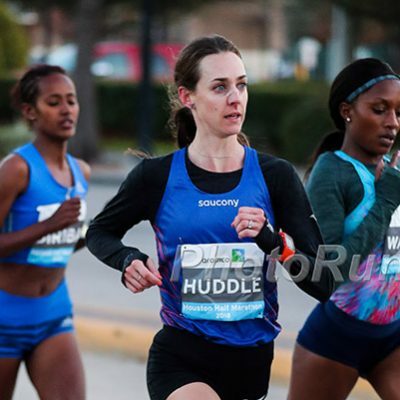 In the process, Sisson also defeated training partner Molly Huddle as Huddle was second in 30:58.46. Sisson is now the third-fastest American in history. But here’s something we don’t think is getting enough play — the win also was Sisson’s first over Huddle in any race after going 0 for 20 against Huddle previously, according to the database website Tilastopaja. 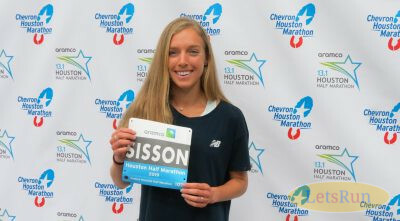 Tilastopaja also lists Sisson as the 63rd-fastest 10,000 woman in history — if she were to become the 63rd-fastest marathoner in history, she’d need to run 2:21:31. Both women will run the 2019 Virgin Money London Marathon on April 28. Sisson lapped every woman in the field save Huddle, including third placer Allie Ostrander of Boise State, the two-time NCAA champ in the steeplechase. And it’s not like Ostrander ran badly. Ostrander ran 32:06.71 to become the 10th-fastest collegian in history. We think it’s safe to say that’s the only time Ostrander has been lapped in her life. MB: Emily Sisson Runs 30:49 in Stanford 10000m, moves to #3 on US list. Beat Molly Huddle (30:58). 2:10:31 – time run by China’s Duo Bujie at the Chinese Marathon Championships on March 24. According to Race Results Weekly (subscribe here like we do at LRC), that’s the fastest time by a Chinese man since 2007. –Toni Reavis writing on ToniReavis.com in an article entitled: Can distance running pull itself back from the brink? –Ken Goe writing for OregonLive.com: It’s time for the sport to put spectators first: Oregon track & field rundown. LRC Meet Kelsey Bruce, The LetsRun.com Entrant At The 2019 World Cross-Country Championships The former DII runner has chopped her marathon PR from 2:48 to 2:31 in less than three years. To see our favorite reads from other weeks, go here. To see the quotes of the day from last week or last week’s home page or any home page, go to our archive page. Got a tip, question or comment? Please call us at 844-LETSRUN (538-7786), email us or post in our forum.